Vellore Institute of Technology Engineering Entrance Examination – VITEEE 2018 will be held from April 04 to 15, 2018. The VIT university Vellore Institute of Technology Tamil Nadu, India. VIT is the most Prestigious university well known for providing quality higher education on par with international standards. Experienced and learned teachers are strongly encouraged to breeding the students. Latest: Due to JEE (Main) Paper & Pencil Test scheduled on April 08, 2018, VIT has planned to schedule, the VITEEE 2018 to be conducted from April 04 to 15, 2018, without clashing with JEE(Main). 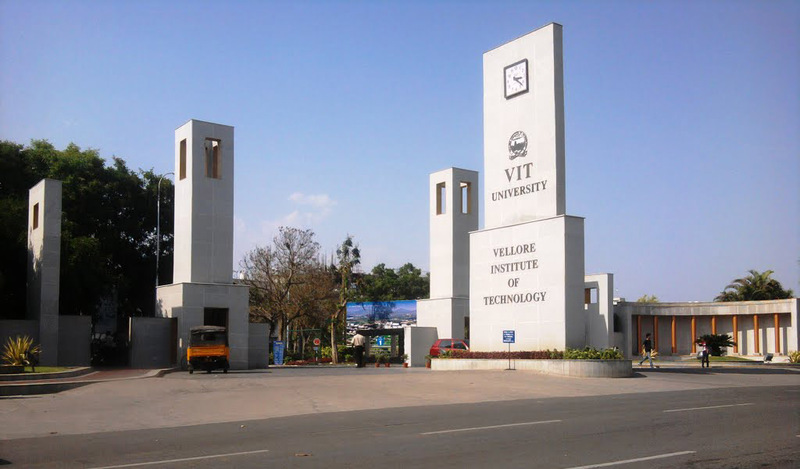 VIT University will conduct VITEEE in three slots. The slot 1 will begin from 9:00 am and will end at 11:30 am. The slot 2 will be conducted from 12:30 om to 3:00 pm. Whereas, slot 3 will be from 4:00 pm to 6:30 pm. Candidates will be able to book the slot in the March 2018. Check all the important dates of VITEEE from the table below. For the better exam preparation VIT University gives Mock Test for VITEEE 2018 on there website. Candidates can practice for the exam by giving these mock test on the given below link. Mock Test: Click Here VITEEE 2018 Mock Test. The engineering aspirants must fulfill VITEEE eligibility criteria to receive admission. VIT University will not grant admission if not even a single criteria are met. Hence, we advise the candidates that they do ensure the eligibility criteria before applying. For appearing in the entrance exam and taking admission in VIT University. Candidates need to fulfill some mandatory required Criteria. University will consider any of the candidate as a student if he/ she is not lying in slot of given criteria. Age Limit: The date of birth of the aspirant should be after July 1st, 1996. Education Qualification: The candidate must have qualified 10+2 / equivalent. The core subjects in 10+2 should be Physics, Chemistry, Mathematics / Biology. Candidates must have scored above 60% in (Total of all subjects). PCM for those opting for B.Tech. PCB for those opting for B.Tech in Bio-Technology. Candidates must also ensure that the aggregate score in PCM / PCB should not be less than 50% marks. Candidates should have has Regular / Full Time education. the application form for the entrance exam are available online and offline. Candidates can apply from anywhere, according to his comfort. The link for online application form is given below. The offline forms are available at University or one can buy them from designated post offices. The list of designated post office is given below. VIT University gives you the flexibility of choosing the time for your test by conducting the VIT engineering admission exam in a multiple session. The candidates can choose a slot for themselves. Slot booking is as easy as movie booking. Candidates just need to access VIT Online Test Booking System (OTBS) and then choose a test center, date and time for taking the exam. For accessing the OTBS candidates will need Application Number and Password. The point to note is that the candidates will be doing slot booking of VITEEE 2018 on the first-come-first-served basis. The window for booking the test slots remains open for a limited period of time. Hence, the candidates must do the booking as soon as the portal starts working. The issuance of admit card begins after the successful slot booking. The system automatically generates admit card after the successful booking. On the exam day, the candidates will have to carry as a print copy, on an A-4 sheet. Note:-E-admit card of the Entrance exam will be unacceptable. It is quite necessary to know the pattern of any examination. Duration: Candidates will get 2 hours 30 minutes to attempt the question paper. Exam Mode: It will be a computer based mode exam . as VIT university conduct the exam online only. The language of Exam: VIT University’s paper will available in English language only. Sections in the Exam: There will be four section in the exam, for English, Physics, Chemistry and Mathematics/Biology. Question Type: All the questions will be Multiple choice questions. Marking Scheme: Each question will be of 1 mark. Negative marking will not be not applicable. VIT University announces the result of VITEEE 2018 on the official website. Candidates will have to enter Application Number and Date of Birth to access the login. The result will state the All India Rank secured by the candidates. The University uses the equating methodology to determine the result. The VIT University usually conducts two rounds for counseling . there could be more only if the seat remains vacant in the university. The qualified aspirants will get the seat/admission on the basis of their AIR secured in the VITEEE exam. VIT University does not grant admission other than on the basis of VITEEE merit. Address – Director-UG Admissions, VIT University, Vellore-632014, Tamil Nadu, India. NAAC has re-accredited VIT with an ‘A’ grade. A 170 acre eco-friendly second campus at Chennai. Entered the Limca Book of Records for Campus Recruitment.